The nonprofit Bull Valley Agricultural Center promotes land stewardship and preservation for agricultural, educational, and recreational uses that respect habitat, connect people with nature, and build community resources. Deeply alarmed by the rapid decline of honeybee populations worldwide, Bull Valley Agricultural Center (BVAC) founder Earl Flewellen sought to establish a bee yard away from the impacts of pesticides and conventional agriculture, joining a worldwide effort to support sustainable beekeeping and farming practices. In 2011, the endeavor led him to Port Costa where his vision fell on receptive ears with a local property owner who offered up her nearby land. The two formed a lasting bond, embarking on a 5-year odyssey—a remarkable collaboration that drew townsfolk, partners, and friends to join in on what was to become a community restoration. Holding solid to the belief that personal and community health is rooted in a deep sense of place and a connection to nature, Flewellen set out to engage folks in breathing life back into the town’s historic businesses and to protect nearby lands from degradation. Supportive community members and friends came forward, pitching in to revive the town’s historic Burlington Hotel & cafe along with the beloved old restaurant next door. Opening in 2012 as The Bull Valley Roadhouse the restaurant sourced directly from responsible farms and producers in the region and quickly became a Bay Area favorite known for its commitment to sustainable agriculture. With these projects finally holding their own, the time was right to focus on giving back to the surrounding land and community. To these ends, the Bull Valley Agricultural Center was founded in 2015, and donations were raised to acquire the land where the bees were happily thriving—a first step towards preserving that land, protecting it from relentless vandalism and refuse dumping, and securing its future as a community resource. Together, Flewellen, BVAC, and the hard-working crew at the Bull Valley Roadhouse are embarking on what they hope is the beginning of a long future of giving back to their community and contributing to a greener, healthier world. In 2015, after a load of more than 80 tires was dumped on the land in clear view, we resolved to stop all illegal dumping on the property. As an immediate response to this violation, we decided to fence the property to limit ease of access for dumping. Though this was a hard decision to make, the measure was very successful. 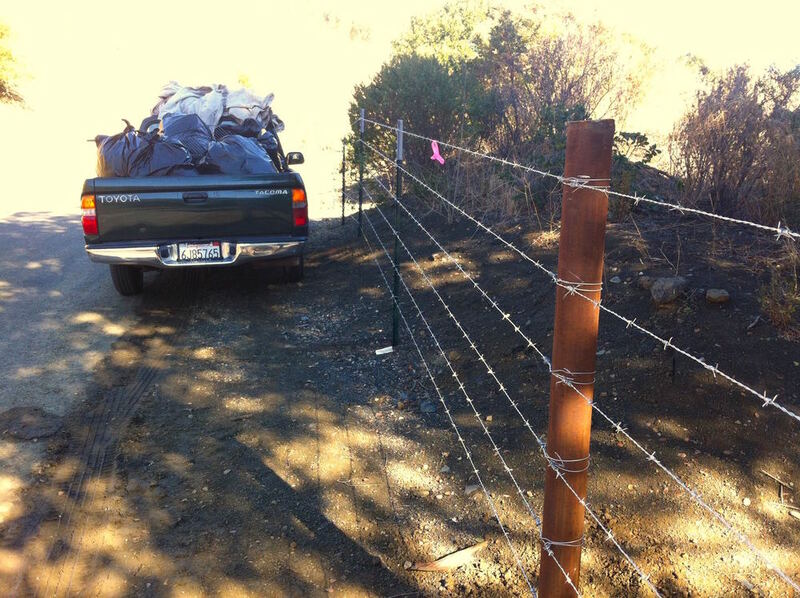 The fencing, joined with the vigilance of friends and neighbors who enjoy strolls and rides around the property perimeter, has brought a complete halt of dumping activity—a good first step to improving the health and good stewardship of this land. Friends and volunteers continue to help us in an ongoing effort to undo decades of refuse dumping. To date more than 300 cubic yards of refuse including furniture, appliances, tires, construction debris, and household garbage have been removed from the land. Consecutive years of drought have stressed California trees, especially pines. When some pines reach a certain threshold of moisture deprivation, they succumb to beetle infestation and die as a result. Dying pines lining the parcel have been cropped, removing all limbs and tops, while leaving the remains to serve as perches for birds and food sources for wildlife. To keep water flowing freely from the reservoir into the creek diversion covert during rains, restaurant staff and BVAC volunteers perform an annual cleanup of the reservoir spillway, hauling out all leaves, tree limbs, and other detritus that makes its way into the channel. BVAC is currently in preliminary, explorative discussions with an educational endeavor called The Field Semester, a program aimed at providing a rigorous semester of learning to scholastically-motivated high school students, immersing them in nature and sustainability while they pursue their regular, demanding academic curriculum. The two organizations hope to team up with The Port Costa Conservation Society to host this body of inspired learners and to build out a roster of extra services, programming, and amenities that will directly benefit the immediate community. BVAC will aim to provide retreat opportunities primarily geared toward the community of professionals who work within the sustainable farming industry and its related fields. With a focus on demonstrating how human endeavors can coexist with good land stewardship, the organization will improve existing outdoor assets and implement others including paths, garden spaces and gathering spots along with rustic retreat spaces. In addition, BVAC hopes to host workshops ranging from gardening and cooking to composting and water conservation. Whether paths, gardens, retreats, or workshops, we aim for all to be made accessible to the immediate community to participate and enjoy. 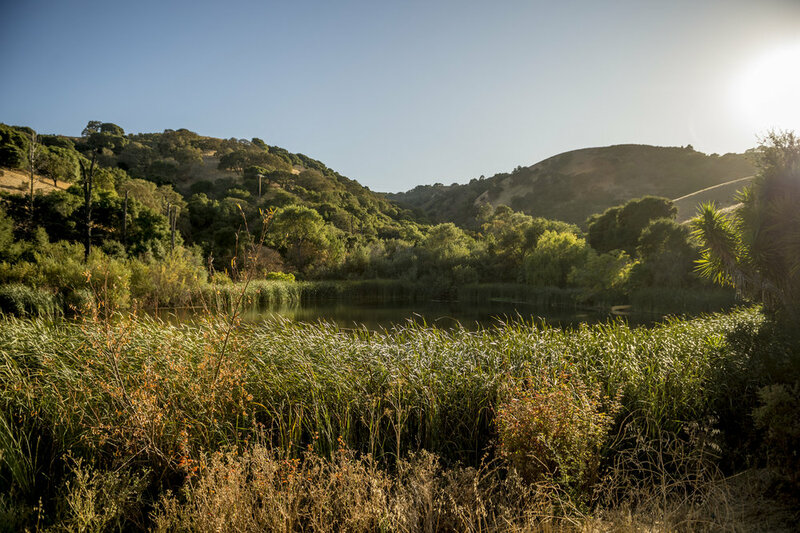 With the land being a historic part of Port Costa’s history, its reservoir having once supplied water to the steam ships and locomotives converging at the old port and having once served as the town swimming hole (replete with diving platform, concessions, and picnic areas), BVAC hopes to restore the land as a community resource with thoughtful focus on how recreation and responsible stewardship overlap. Perimeter walk path: Many town residents enjoy long walks around the reservoir. Those strolls have been limited to walking along the shoulders of the street encircling the property. 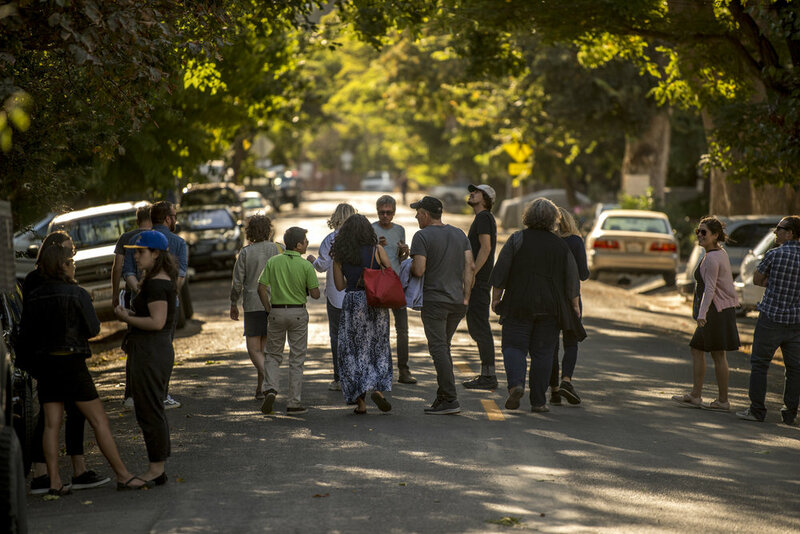 BVAC will endeavor to improve existing paths to provide residents strolling with children and pets a more intimate engagement with the land and a safer alternative to walking along the street. Garden Spaces and Picnic spots: To augment town gathering spaces for quiet moments away or to spend time with friends and family, BVAC will have meditative garden spaces and picnic spots where one can sit in a sunny spot to read a book, or sprawl out on a blanket for a picnic. Water Access: In an effort to keep the land accessible to the immediate community, we’ll strive to make paths available for enjoyment of all aspects of the property, including the reservoir’s shores, in a manner compatible with its other shared uses and habitat stewardship goals. As BVAC’s volunteer and member base grows, we will hope to work directly with the community to undertake projects that directly benefit the town. Be it flower and tree plantings along roads, or beach and parking lot cleanups, BVAC will aim to be a community player with a commitment to making life better for everyone it serves. Co-owner of The Bull Valley Roadhouse and the Burlington Hotel, Earl has worked since 2011 to keep bees thriving in Port Costa and to help bring town historic assets back to life. Through those endeavors, he and his partners currently employ 45 people who've helped pitch in, most of whom live around the Port Costa and Crockett vicinity. Establishing BVAC is something he hopes will help return the generosity he's seen from the people of this community and benefit a larger audience of people striving to make a better world. Grandson of the deed-signer of the Port Costa Schoolhouse, Soren (or Shane, as those in town know him) was born at home on Canyon Lake Drive, and different parts of his family have lived in Port Costa continuously for more than 70 years. A Port Costa native with deep roots in the community, Shane also brings more than a decade of experience in the arts, community management, and education to BVAC's already considerable expertise. Suzanne’s professional background includes over 25 years in human resources and education focused on connecting people with careers. Now, as board member and secretary of the Bull Valley Agricultural Center, she is integrating her passion for people, education and programs with her family roots in farming to help BVAC promote sustainable land use and watershed stewardship through experiential learning. Currently the controller for the Bull Valley Roadhouse and The Burlington Hotel in Port Costa, Paolo has 15 years of previous experience running the books for much larger successful companies. With an interest in seeing our endeavors stay financially sound and successful, Paolo comes well-equipped to make sure BVAC dots its “i”s and crosses it’s “t”s when it comes to bookkeeping and finances. As the founder of the Muir Heritage Land Trust, a Contra Costa County institution and a renowned model for land preservation in California, Tina spent 20 years working to raise over 17M in donations and preserving more than 2000 acres of land in the immediate region surrounding Martinez and Port Costa. Tina continues her commitment to land preservation and the fostering of responsible, effective organizations through her own consulting company, helping organizations and institutions develop their organizational structures and fundraising strategies. Nicholas has extensive leadership experience in the healthcare sector and in the field of social sector business planning. At The Potrero Group, he helps organizations build capacity, shape their organizational structures, and develop strategic business plans. Deeply connected to nature, food, and sustainability, he's clocked considerable time supporting all three. He was the lead analyst for a network assessment of the 200 philanthropic organizations that support national parks and also served as a consultant on the Food for the Parks initiative. Nicholas also once worked in the kitchen at the renowned Oliveto in Oakland and currently serves as the Board Secretary of Capay Valley Growers Inc., a for-profit social venture focused on regional agriculture sustainability. Sasha is Senior Scientist at the Nature Conservancy, California, conducting research and planning for conservation projects throughout California. With a 20-year career focus on habitat restoration, water management, rangelands, and agriculture, she brings impressive hands-on experience solving the challenges of how sustainable agricultural practices and environmental conservation can actively work hand-in-hand to solve some of our most pressing environmental concerns. Having devoted the last 30 years to organic farming, Judith helped build Full Belly Farm into a revered northern California organic farming institution. Judith is well-regarded for her efforts to champion the advancement of sustainable agriculture both regionally and far beyond. She brings vast knowledge of sustainable farming practices and is deeply involved in environmental and farm policy, serving on advisory boards and committees for a number of policy-shaping organizations including the Community Alliance with Family Farmers and the California Agriculture Climate Action Network. She also serves on the Capay Valley Volunteer Fire Department. Port Costa friends, family, and BVAC supporters came together again for a warm cup of cheer on the longest night of the year! 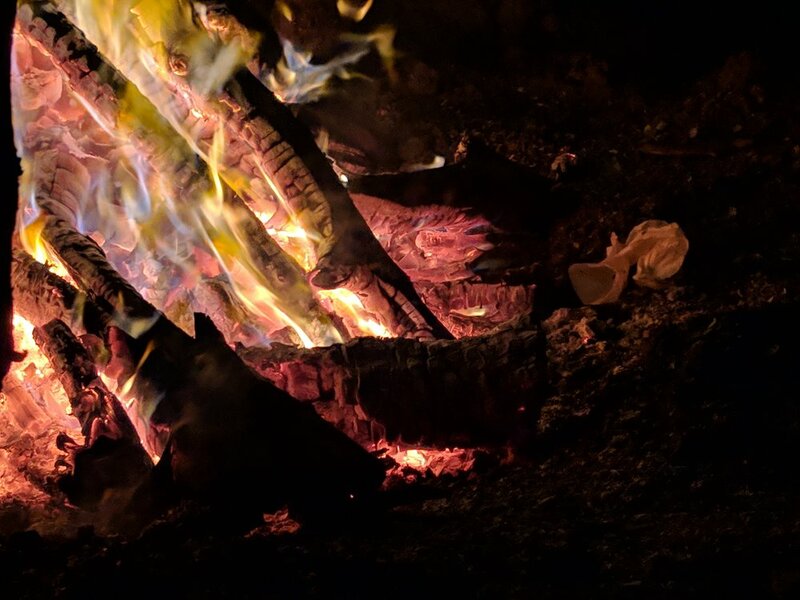 Fun was had by all around the roaring bonfire, with hot chocolate, roasted marshmallows, and good music featuring prominently. What a way to close out 2018! 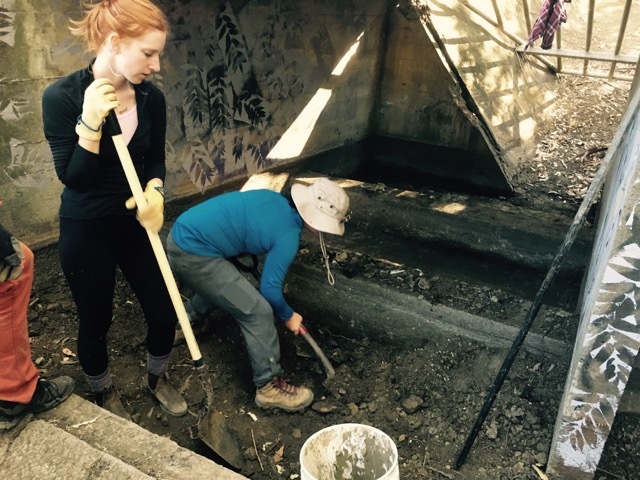 Our 3rd annual spillway cleanup was as necessary as ever, and sped by with the help of our talented volunteers. Each year, BVAC removes debris from the reservoir spillway, ensuring the free flow of winter runoff and preventing blockages as water flows through the site. We also clean up any graffiti that has accumulated. This year was particularly meaningful as the cleanup took place in the midst of the smoke-filled air brought on by the devastating Camp Fire in Butte county. Our dedicated staff and volunteers were committed to the cleanup in spite of the smoke, and we couldn’t be more grateful. 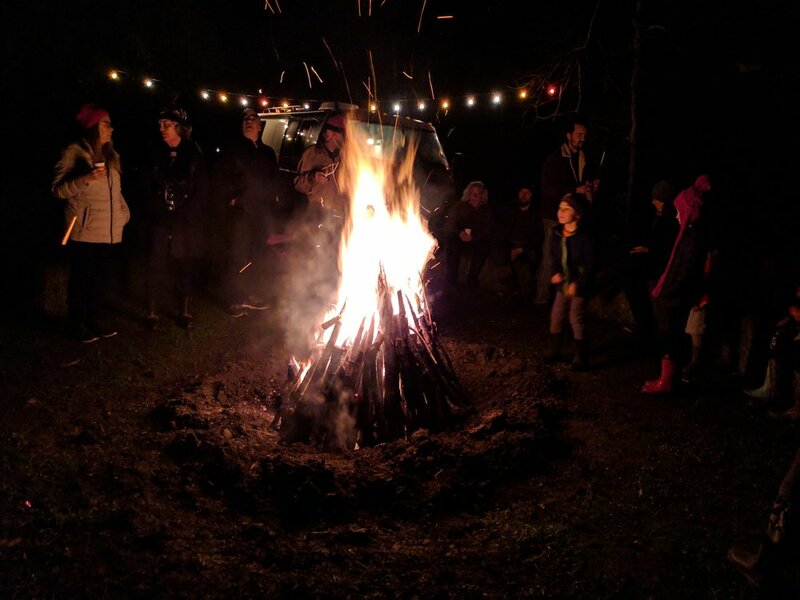 On Thursday, December 21st, we held our 2nd annual Solstice Bonfire! All enjoyed the opportunity to celebrate the year coming to a close, and we kept warm around the fire with good company, good cheer, and good hot chocolate. kids playing in the spillway over the decades). On April 22nd, the inimitable Dr. Dean Kelch, Crockett resident and Primary Botanist for the California Department of Food and Agriculture, led an informative (and very entertaining!) tour of native plants of the Carquinez Strait. 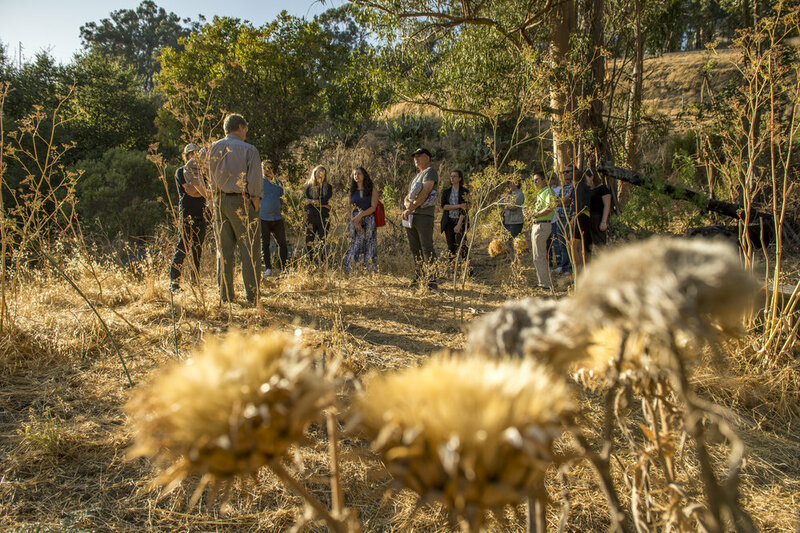 Starting with a meandering tour of BVAC’s reservoir site in Port Costa, the group witnessed how the land has been overtaken by many invasive species. We then took a beautiful walk from Eckley Pier to Crockett, stopping all along the way to spot native plants thriving in the hills above the Carquinez Strait. Dr. Dean Kelch (in foreground with hat) points out featres of a native plant (astragalus asymmetricus) found near East Bay Regional Park District’s Bull Valley Staging Area and Eckley Pier. to see how beautiful anti-graffiti painting can be! Yaeir Heber, Ashleigh Lobalbo, Chris Shima, and Lucy Shima. Lucy Shima taking things into her own hands painting over graffiti on the walls of BVAC's reservoir spillway. Friends of BVAC along with Port Costa townsfolk gathered for a warm night of cheer during the winter solstice. Even though it was a Spare-the-air day, we were prepared with propane fireplaces! Despite the faux fire, we all managed to have a jolly time, sipping hot chocolate, roasting hot dogs & marshmallows and sharing a good time together. A big thanks to all who showed up (especially that person who brought the peppermint liqueur!). Bull Valley Agricultural Center is a 501(c)3 non-profit organization. ©2016 Bull Valley Agricultural Center. All Rights Reserved. In loving memory of Carol Van Horn Cuffe for her courage and tireless support of others in following their hearts and dreams.